This month I ventured into a new and unfamiliar land where reality collided with fiction in a fun and thoughtful way. 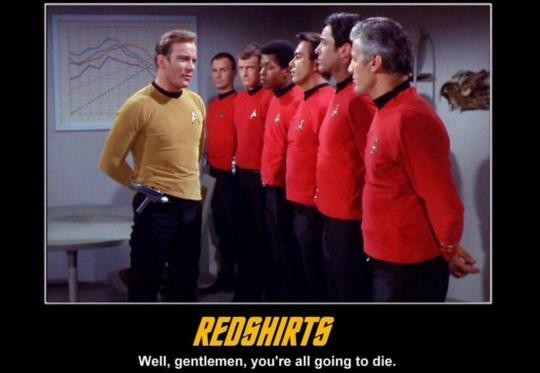 In the Star Trek universe the sad fact exists that if you are wearing a red shirt and are sent on an away mission, chances are you are going to die. 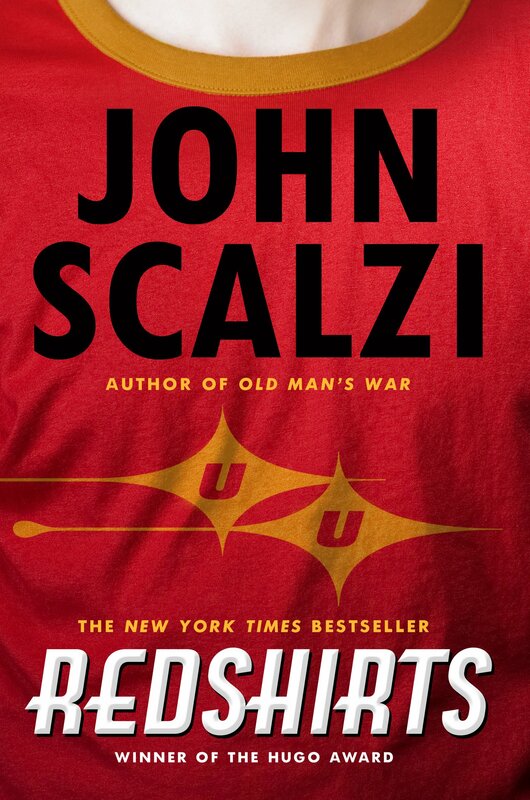 Scalzi’sRedshirts takes this truth and turns it on it’s head. The crew start asking questions when they notice the abnormally high death rate on their vessel. Crew who aren’t in the officer line have watched their friends leave on away missions never to return. They have learned it’s best to avoid the senior officers at any cost. Being found by one certainly means being assigned to another of these deadly away missions. Another Star Trek truth that Redshirts makes fun of is the magic box that solves the most insanely complex problem the same way that a microwave heats food. You insert the correct samples, set the timer for slightly less than when the catastrophe is going to occur, and wait patiently for it to finish. The data it produces is then taken personally to the bridge and presented to the captain, always stating that there is some sort of random made up problem. This is when the captain dramatically looks over the data and within seconds solves the problem, showing just how awesome of a hero he really is. There are several more of these little gems hidden inside the book, if you want to find them, I suggest you read it. Our main character, Dahl, is one of these minor members of the crew who are often targeted. The older crew don’t warn him of the dangers in an attempt to save their own skins and he is assigned to an away mission where he barely survives. When he returns, he wants answers and he demands to be told everything. This line of questioning leads him to the mysterious Jenkins, a hermit who has sealed himself into the utility passages of the ship. Jenkins has a crazy theory that logically explains why the ship works like it does. It’s the alternate reality created when Star Trek was written. Every death, every dramatic rescue, every inconsistent part of their world is there because some writer has invented it to make entertaining television. Dahl comes up with an insane plan to get it all to stop, and it involves jumping dimensions. I got a kick out of this book. For anyone who likes Star Trek but finds some of the science and story lines far-fetched, this book is a joy ride. It’s written in a very direct and to the point way, not wasting any time to dwell on the scenery or the deep internal turmoil of the characters. What I found most unique is that the characters start to become self-aware that they are indeed characters being written. If you like light sci-fi parodies, discussions on inter-dimensional theory, and paradoxes, this is a great book for you. However – reader be warned. There is a fair amount of rude language sprinkled throughout, enough to make it rated a solid R. There is also casual innuendo, violent (but humorous) death, and an absence of a bad guy. Although I didn’t find it a problem, some might not like the three-part coda ending where after ending of the principle story, there are an additional three sections that explore what happened to three of the minor, but significant characters.